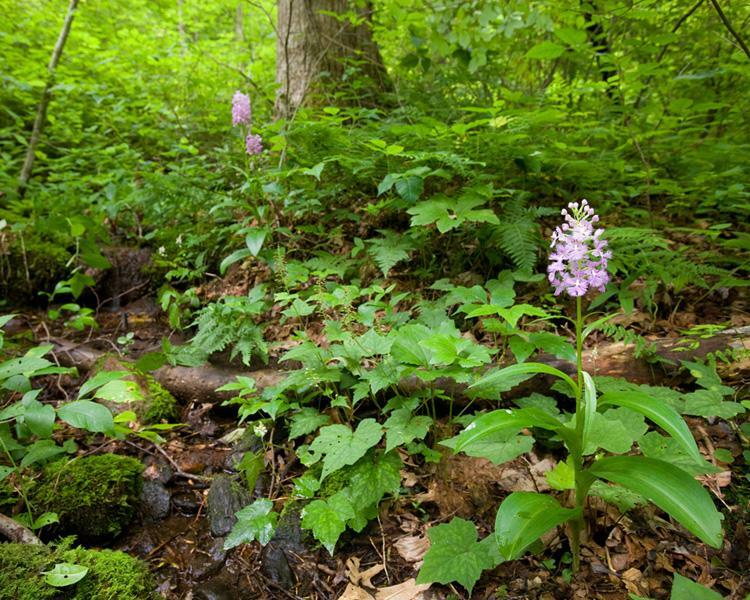 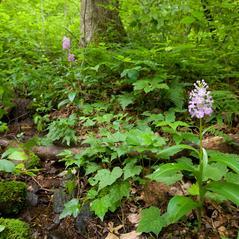 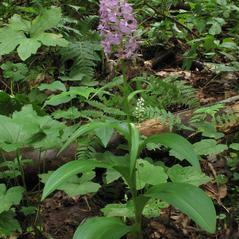 Platanthera grandiflora, commonly called Greater Purple Fringed Bog Orchid, is found across the East Coast of the United States and Canada, from Georgia to Quebec. 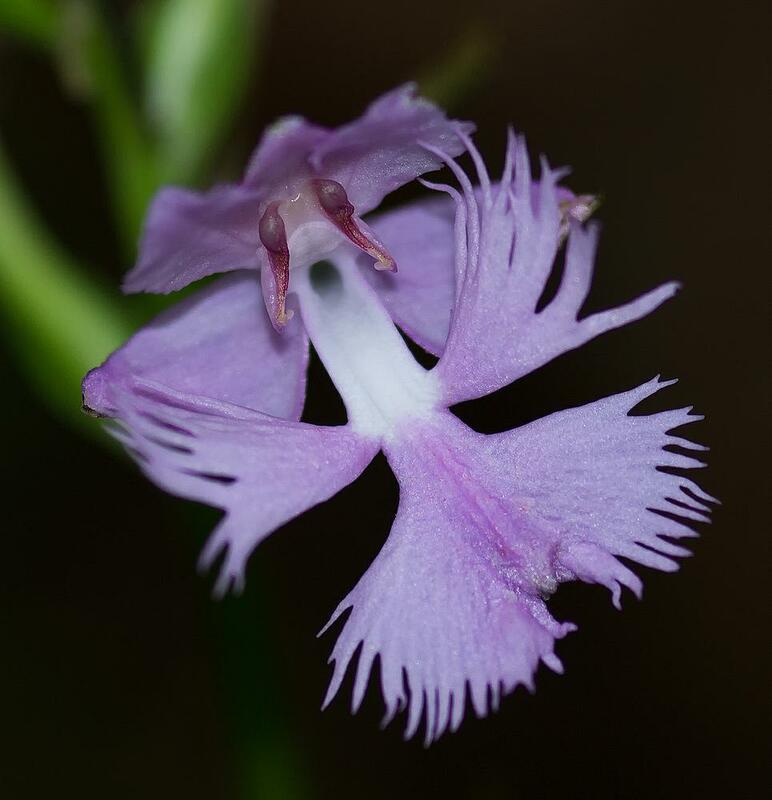 It has 2-6 wide, spreading leaves along its stem and produces a showy inflorescence of multiple bright purple, pink, or rarely white flowers. The labellum is deeply fringed and three-lobed. 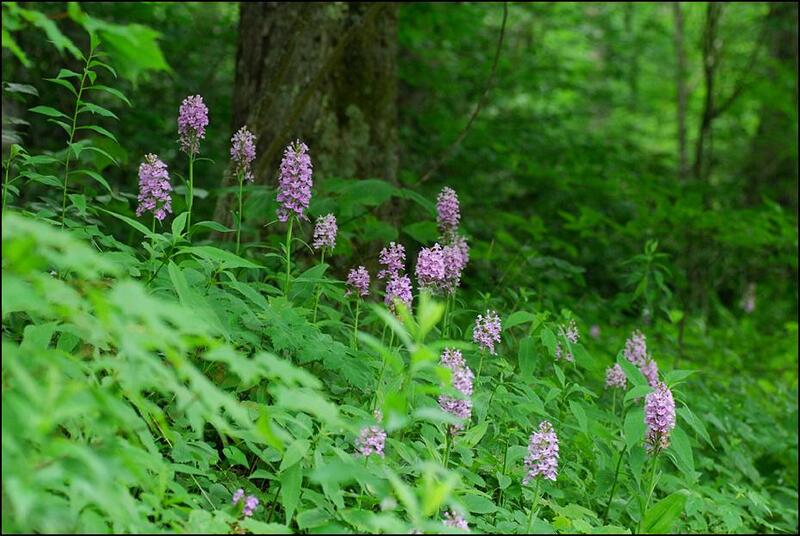 Primarily a wetland species, it can be found in moist forests and fields, marshes, bogs, and swamps. 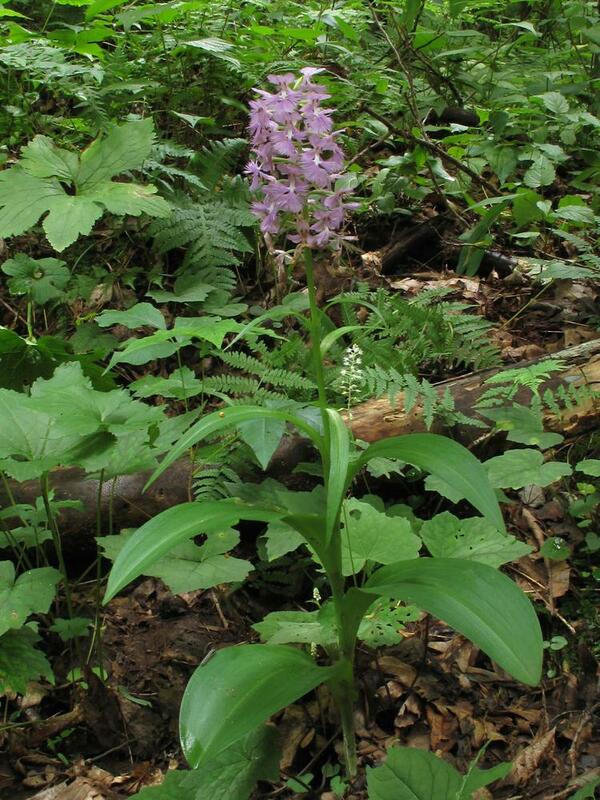 Platanthera grandiflora is considered globally secure, but is considered rare or extirpated in several mid-Atlantic states. 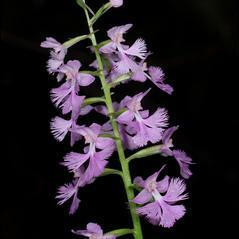 It is less common than the similar-looking Platanthera psycodes, from which it can be distinguished by its larger flowers and overall size, and by its earlier blooming period. 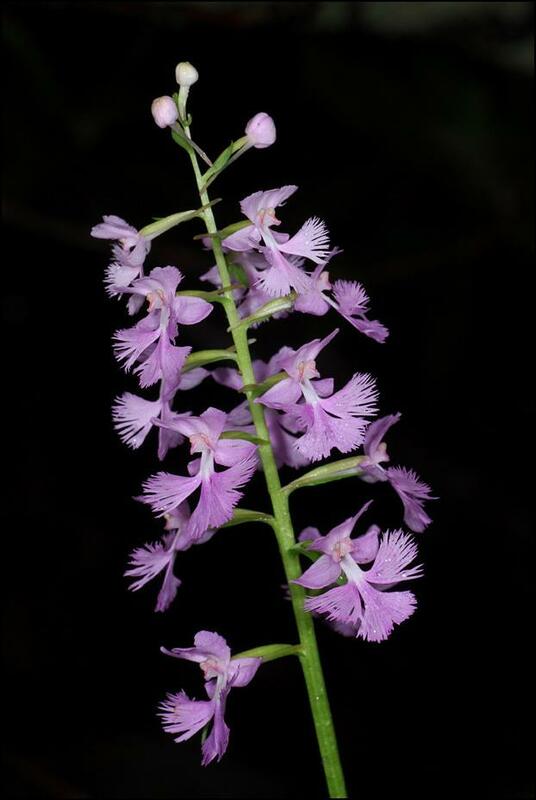 It is known to form a natural hybrid with P. lacera, named P. × keenanii. 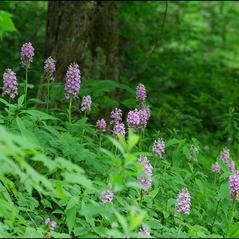 Swallowtail butterflies such as Papilio glaucus, Papilio polyxenes, Papilio troilus and the moth, Autographa ampla, are documented pollinators while visiting flowers for nectar.